The Japanese are legendary sword fighters that could make even the most inconspicuous weapons incredibly effective. 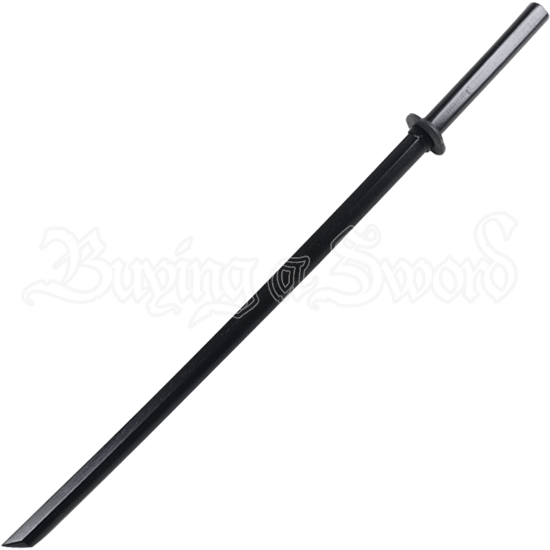 Our Bokken Practice Sword is painted black and made of wood making it an ideal practice sword for a variety of styles. This forty-inch wooden sword is long and lightweight. Included with this sword is a removable two-piece hand guard. If you are looking for something that resembles the real thing but do not wish to cut your training partners, this bokken is the perfect fit. This weapon is the size and shape of a traditional Japanese sword. Practice guarding, swinging, and delivering killing blows with this unique black wooden bokken sword.